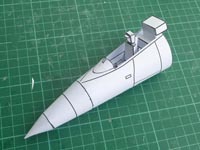 The Skylancer was my first new papercraft after a pause of around ten years (see history) It ows its origin to the Fiddlers Green F4D Skyray, of which I had done three repaints. I thought, I could change the Skyray to a Skylancer with only a few modifications. After doing some research on the Skylancer, however, the parts of the Skyray became lesser and lesser, until actually only the middle fuselage piece was the same. This somehow mirrors the development history of the real Skylancer, which started of as a derivation end ended up a complete new design. I also experimented on the Skylancer with trying to calculate the rounded fuselage from squared sections, but it didn't work at all. 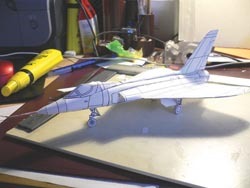 I build the fuselage in one night, and added the wings the next day, as with all prototypes from then on the landing gear was merely a doubled sheet and the wings had no structure. After enjoying the prototype for a while I cut it apart again, scanned it and built the actual shapes in Freehand, adding the structures on the wings and detailed landing gear. It took three beta versions to get it to fit good enough and several more testbuilds of the nose only to get the painting schemes right. 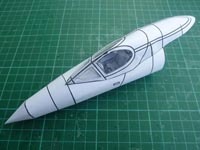 The fuselage now has the backbone, Cockpit and Tailfin. The Wings have been prepared. 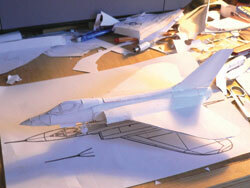 In the background there is a wing of the Skyray, which I used to check how to built it. The finished prototype. Note that the wings are left white, because its better to do their structure in Freehand. The Skylancer’s cockpit kit was the second to be created in May 2010. For a lack of reference material, most of it was based on similar cockpits, taking inspiration from the Douglas Skyray in particular. 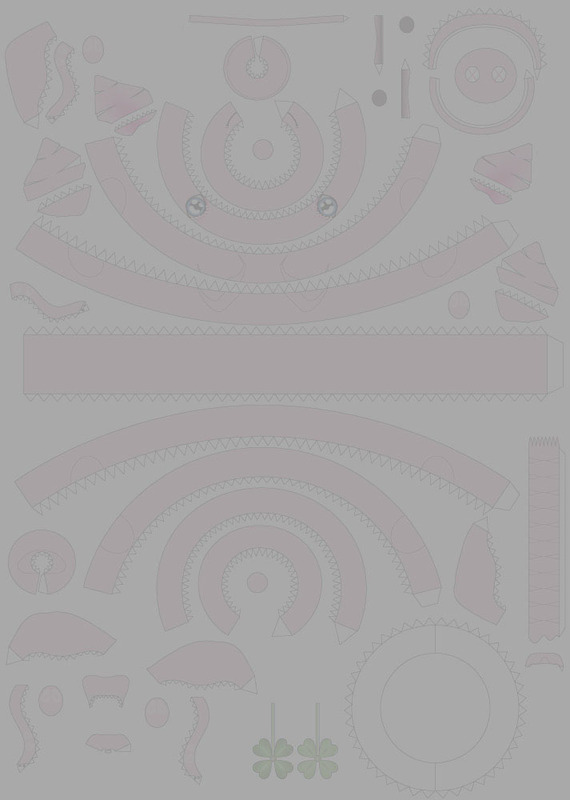 The panel however was created based on the actual panel. The Skylancer-cockpit is among the easier ones to build, which is great, because the Skylancer-model is Beginner-level itself. One reason for that is also, that a transparent canopy is very easy to create for the Skylancer. I actually built a cockpit into the test build of a “what-could-have-been”-version of the Skylancer, but that model was lost when I moved and there are only pictures of it with the ‘classic’ canopy that were taken to hide the fact that I was working on the cockpits.